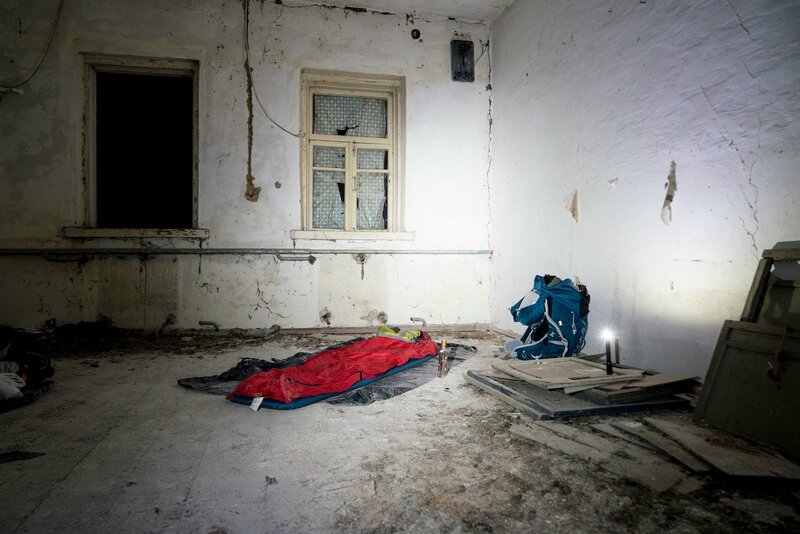 Our destination for the night is a small village left uninhabited for 32 years — bar the occasional stalker. 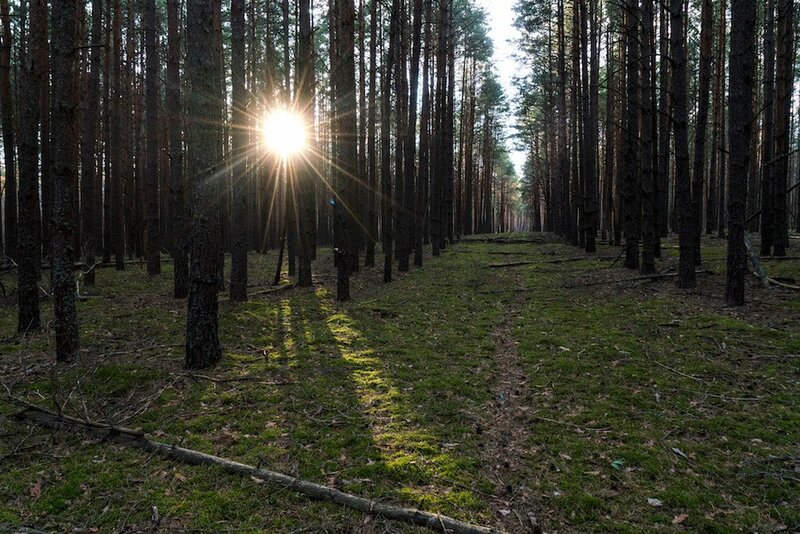 The road has long disappeared below the forest floor; bungalows emerge as angular shadows from between the trees, like witch’s cabins in a cartoon nightmare. Foliage reaches into open windows and paint crinkles away from brickwork. Most of the roofs are sunken or collapsed, having succumbed to the weight of three decades of decay. My thoughts turn again to Roadside Picnic. 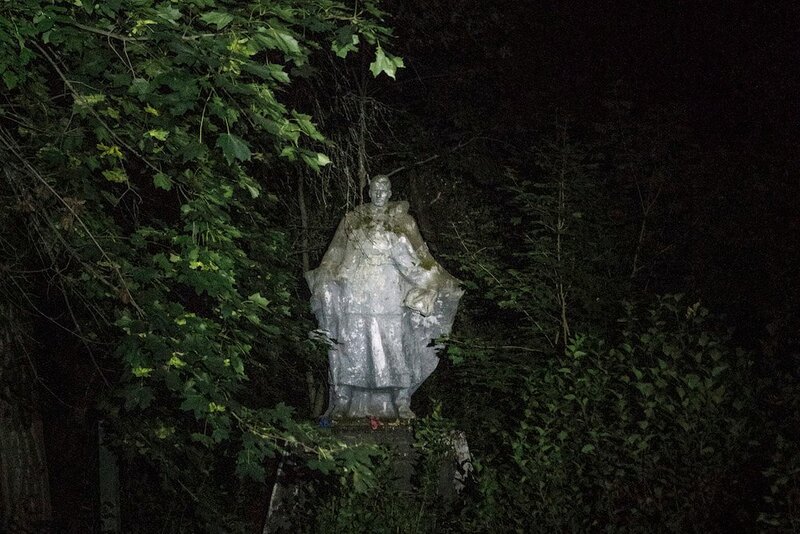 Parallels are easily drawn between Chernobyl stalkers and those from the novel, not least their high tolerance of risk. 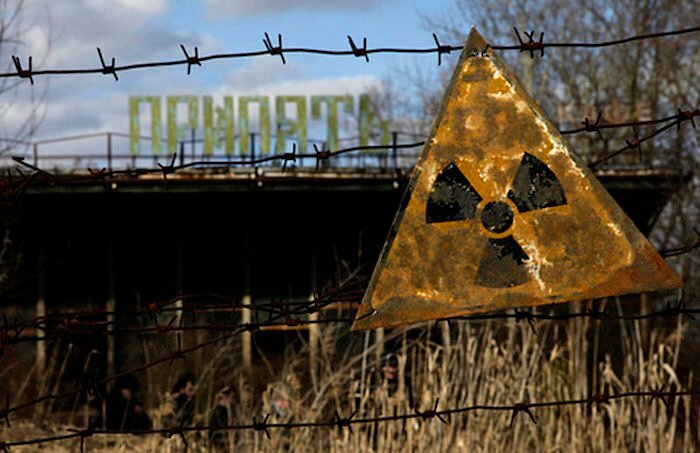 One such risk is ingesting strontium-90, a radioactive particle found in soil, water, and wild food from the Zone. The body absorbs strontium as calcium, potentially leading to bone cancer decades later. Despite this, videos of stalkers consuming water and fruit from the Zone emerge regularly. In our case, guides from official tours would hide supply caches for us to recover. But this, as we were to discover, brought its own risks. Darmon and I wait in silence between the trees, not knowing what has become of Kirill, Steve, and Bradley. The glare of torches breaks through the trees. My heart thumps so loudly I’m afraid it will give us away. I lie against the forest floor, paranoid that my every breath is bringing strontium particles drifting into my mouth. “Guys?” sounds a familiar voice. It is them, and they have the cache. 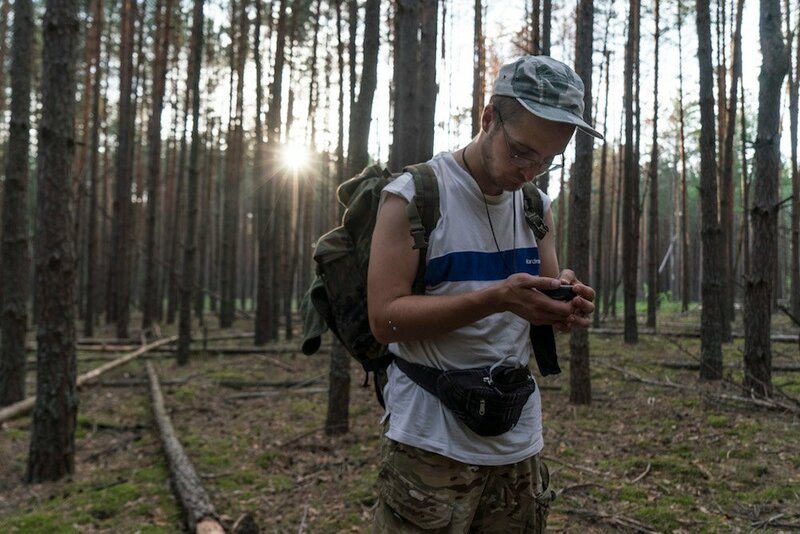 We unpack the supplies and I ask Kirill if he is OK. “Better than all the people in the world!” he responds, slicing his camping knife into a salami. As the adrenaline wears off, I struggle to remember a time I had felt more tense, or more exhilarated. This combination, of course, is part of the attraction of stalking: unlike the theatre of official tours, here the stakes are real. You evade capture, or you go to jail. You have bottled water, or you roll the strontium dice. The following day, we hike through vast meadows and wild forests. Despite being described as a “dead zone”, every corner is brimming with life. 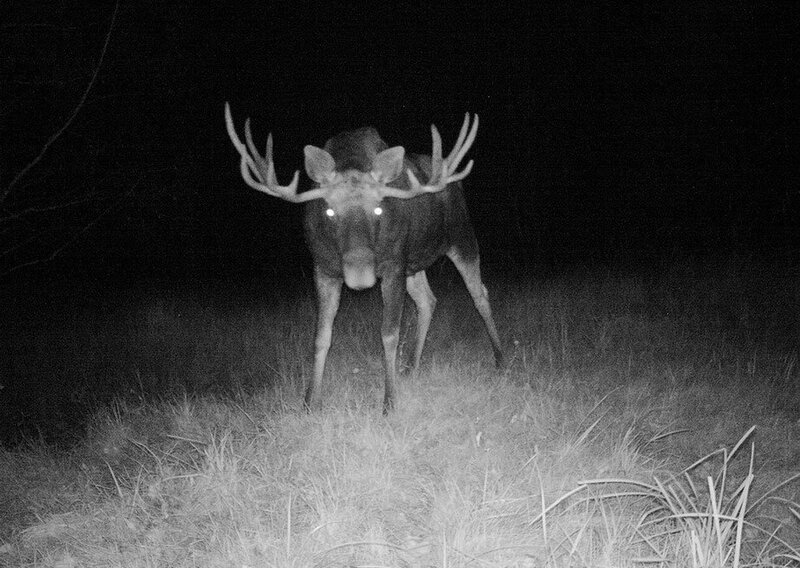 Eagles swoop low, deer run freely, wild boar grunt, and insects bustle. In the midst of this natural utopia, the crippled artefacts of humanity reveal themselves: a road sign, a field gate, a crumbling storehouse. Reminders that, once upon a time, this land was part of the empire of the Soviet Union. It occurs to me that Kirill was born four years after the disaster and just one year before the USSR collapsed. All he knows of that state is the turmoil that followed. 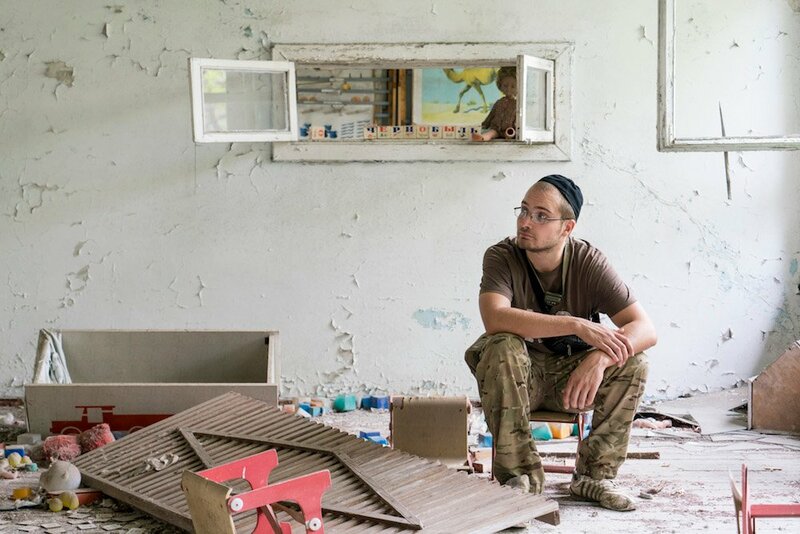 But here in the Zone, he can step back into Ukraine’s not-so-distant past and recover a small part of what was lost. Walking freely among the poisoned ruins of the great empire that shaped his world, perhaps the trauma of its collapse is easier to comprehend. Since the fall of the Soviet Union, lax security and endemic corruption have meant the Zone is easy to penetrate. Looters, metal thieves, poachers, and loggers are commonplace. 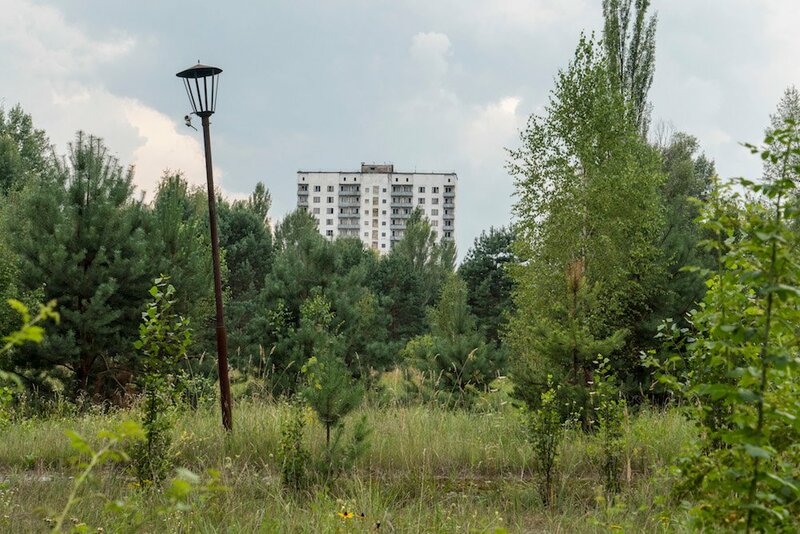 There are even rumours of criminals extracting plutonium, or burying bodies in the Red Forest — a highly contaminated area of woodland along the road to Pripyat, Chernobyl’s “dead city”. The soil there is so contaminated that even the police are not allowed to intervene, making it the perfect place to conceal something you never want discovered. 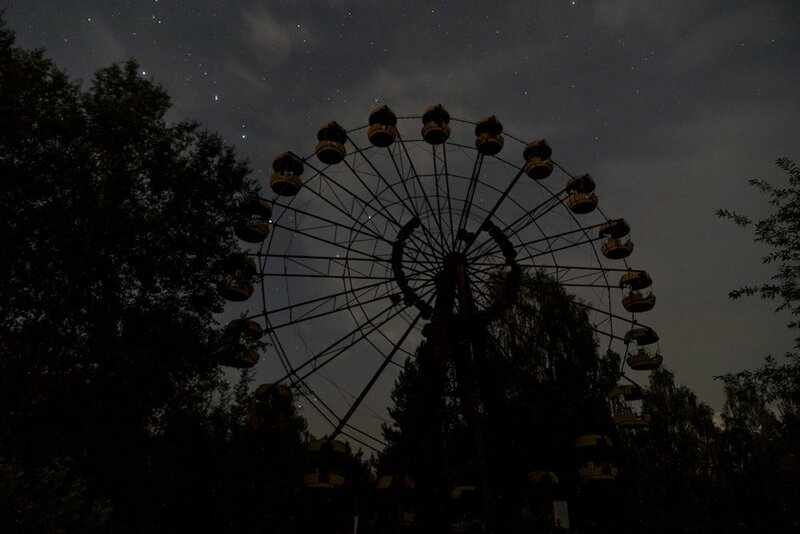 We wait until dark before setting off towards Pripyat. 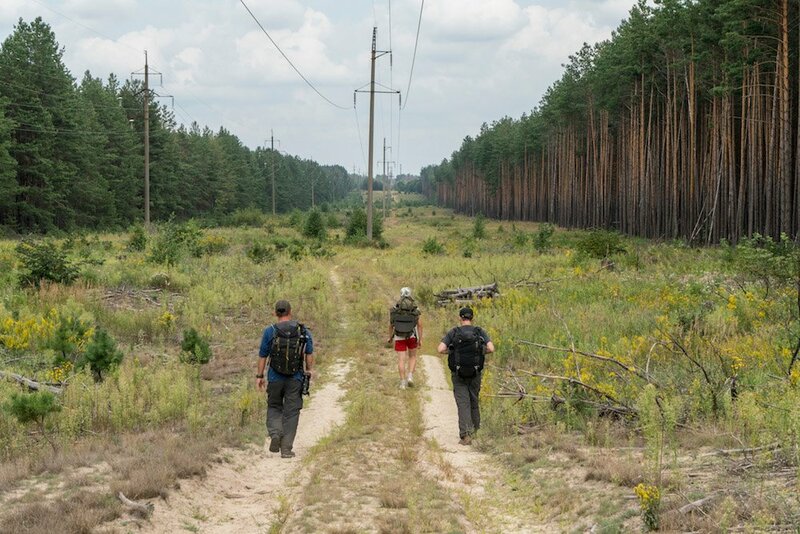 “The road is long, dangerous, and very boring,” Kirill tells us. “Stay quiet and in line. My last group moved like cattle.” He motions his hand haphazardly. A sliver of moon illuminates the tarmac. Above me, glistening, unpolluted stars keep my mind from the fact that, once again, I am out of water just when I need it most. We round a corner and Kirill stops. In the distance, a dim light dances gently by the road. He directs us onto a railway track which runs parallel to the road, separated by 20 metres of radioactive foliage. We creep from one sleeper to the next. In the darkness the slabs of wood appear to shift beneath my feet. I miss one; the crunch of stones shatters the silence like a crack of lightning. As we pass the dancing light, I see what appears to be a tent beside the track. The others look elsewhere and see something different. “Two men in white Hazmat suits, digging,” Steve hisses after we pass. An official tour guide would later report back to me that, at the spot I described, he saw freshly turned earth, about the size of a grave. 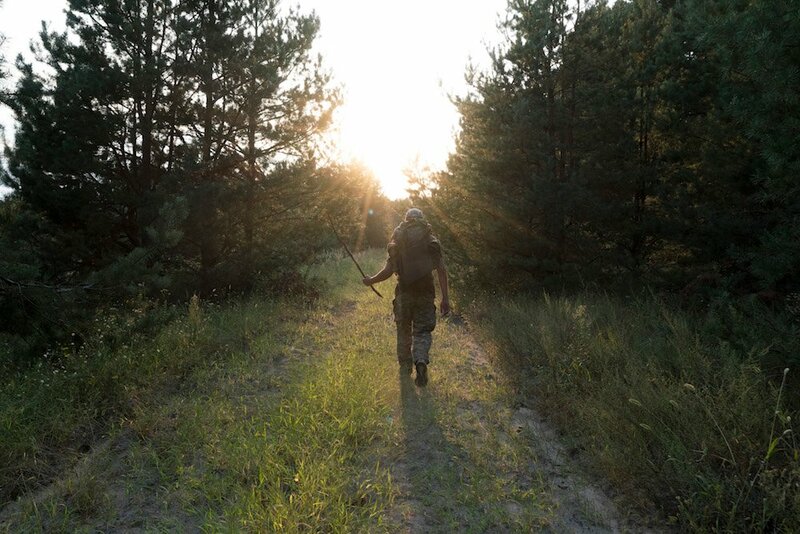 Trudging through the forest, we approach Pripyat, exhausted and thirsty. At a clearing we turn off our lights. My eyes adjust to the familiar darkness and I see tarmac at my feet. But there is something else, too. I can feel it. As I lift my gaze the sight sends a shiver through my depleted body. All around us, towering shadows reach high above the treeline. Like 15-storey headstones, the city’s apartment blocks stand silent, frozen, and hopeless. It is mesmerising. My body ceases complaining. This is something that no book, photo, film can convey: a foreboding sense of the unimaginable tragedy that unfolded here. 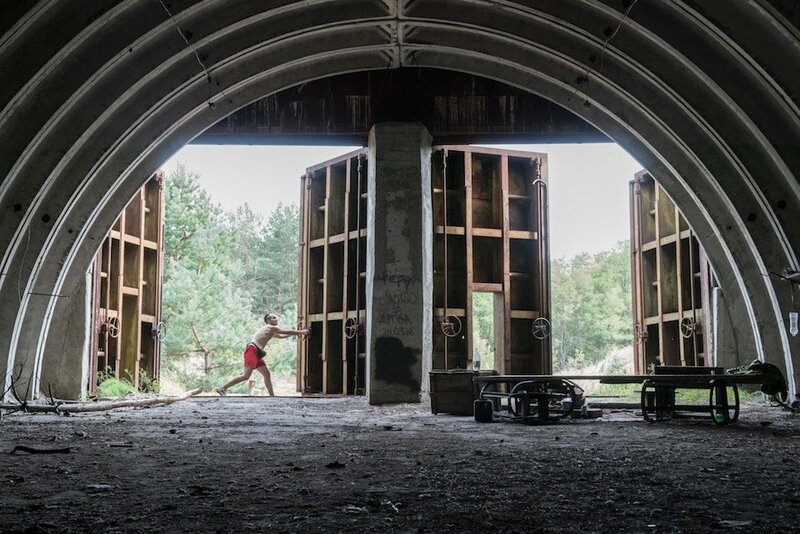 Under the next morning’s light, we explore the ruined buildings that have made Pripyat such a popular tourist attraction. 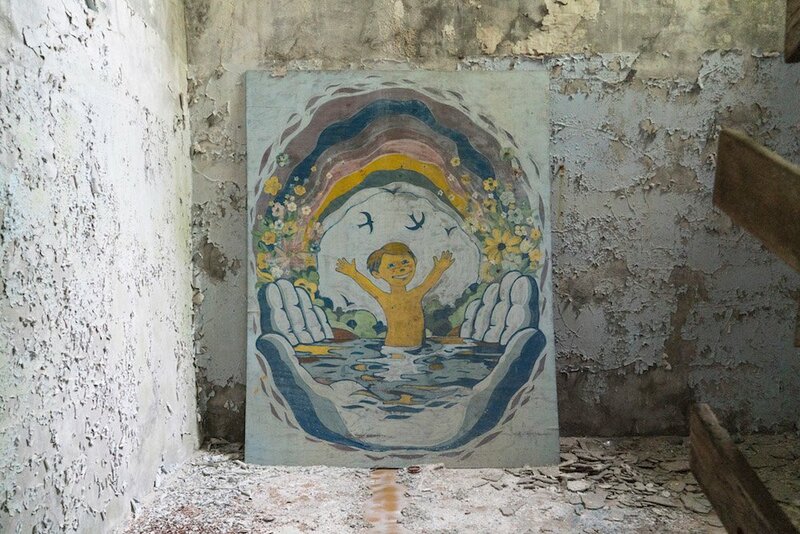 Inside, children’s dolls and gas masks lay arranged in photogenic still-lives, elaborate fictions constructed for dramatic effect — a reminder that most Chernobyl tourism is about Instagram likes, not history. 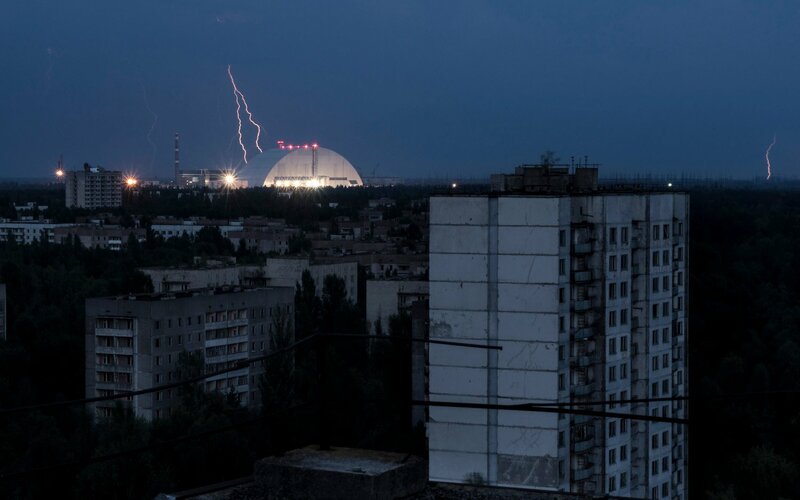 Later, from the highest rooftop in Pripyat, we watch lightning illuminate the evening sky. Angry forks of electricity appear to strike the giant metallic dome of the protective “sarcophagus” that now houses the defunct reactor. In the distance, a dog barks: a sign of more stalkers? 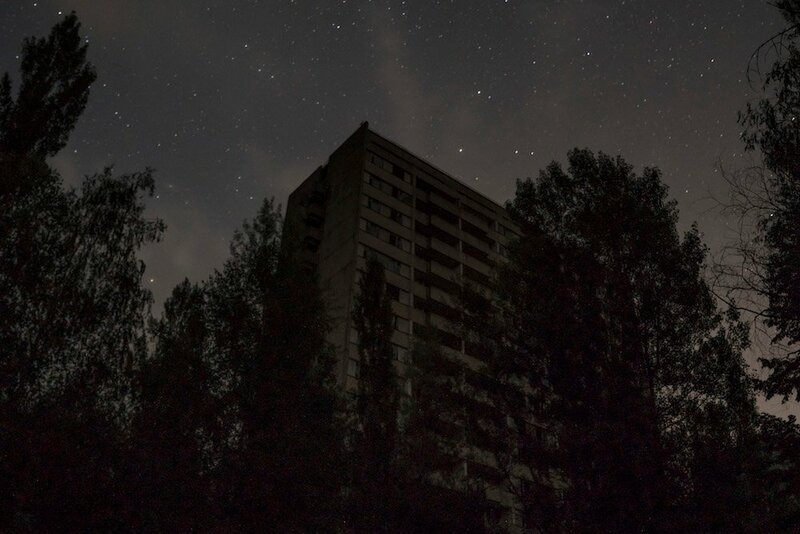 “There are maybe 50 stalkers in Pripyat right now,” Kirill tells us. Tomorrow we will return to the real world, smuggled out in a worker’s jeep. For now, there some is time to reflect. In the last four days, I’ve walked 70 kilometres and endured discomfort and adrenaline-induced anxiety. I’ve slept six hours in total, reeled with radiation paranoia and faced the prospect of disaster. At times the tragic surroundings have been profoundly affecting. Now, my body aches more deeply than ever. Yet in spite of all this, I feel good. My mind is quiet and alert. Is this my prize for enduring the risks? The idea that Ukrainians are drawn to stalking as a form of catharsis is logical. By occupying the Zone, they redefine a wound in the national psyche. It becomes at once a museum, a nature reserve, and a haven from the turbulent country outside. As the nation struggles with chronic uncertainty, life in the Zone remains the very antithesis of instability. Even as an outsider, these motivations remain pertinent. Stalking delivers an insight into a historical event of chilling relevance in a way that an official tour cannot. Meanwhile, the sheer physical rewards of risk and survival combine, in a fashion, to deliver an unlikely meditative escape. The acute dangers involved rather than the police will likely prevent illegal tours from developing too far. Even surviving a trip intact is not guarantee of safe passage: it will be decades before I know whether I accidentally ingested strontium-90. Nevertheless, just as the characters of Tarkovsky and the Strugatskys are drawn back to their treacherous alien zones, it is easy to see how, for some — even outsiders — stalking can become an obsession. 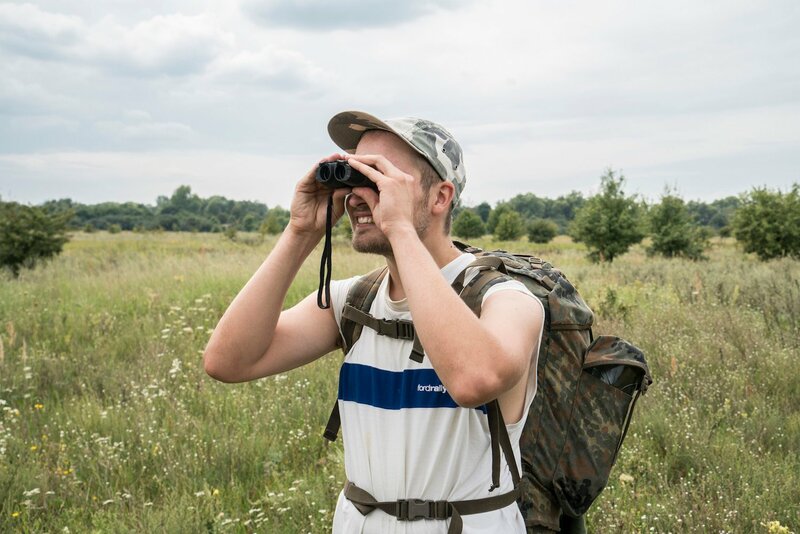 Alongside the rich academic attraction, stalking provides a unique way to satisfy a deep thirst for adventure that has, in the modern world, become difficult to quench. As I write these words safely cocooned at home, the thought of returning to that dark, uncomfortable, mysterious, exhilarating existence is undeniably alluring.